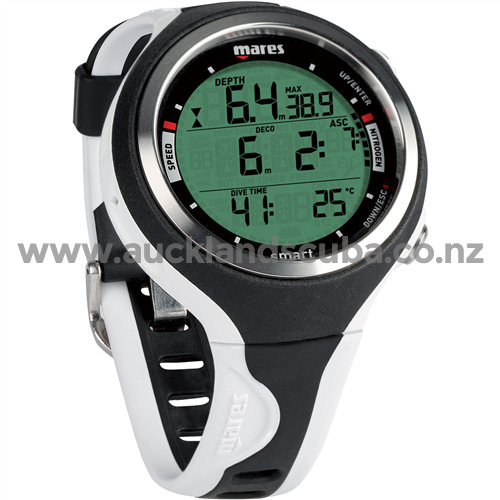 The Mares Smart Wrist Computer Super has a sharp and clear display, perfect ergonomics and user friendliness and is an all rounder capable of multi gas and free diving. Quintessential: representing the most perfect or typical example of a quality or class. What happens when you add the superior sharpness of segmented characters, clarity of a perfectly laid-out display, and top it off with ergonomic advantages of two buttons? You get Smart, probably the smartest computer on the market. Smart replicates the excellent display of the Puck Pro, adding an additional button, buttons are repositioned to the side, all packaged into a much slimmer profile. On the surface, adjust your nitrox settings or view your logbook with ease. Underwater, you can manage alternate depth information (top row), completely independent from the ancillary information displayed in the bottom row. 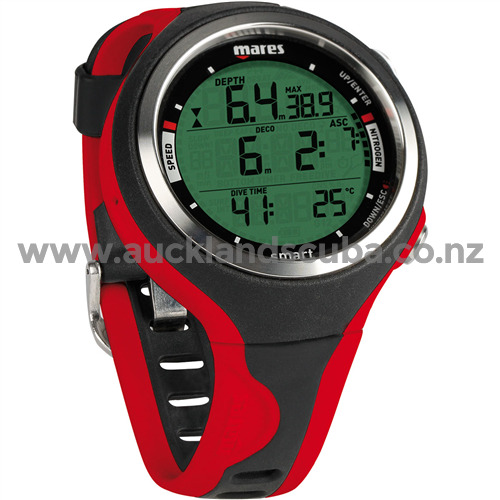 Mares finished it with a two-color strap and unique design, making this the perfect companion for your time away from diving. The Mares Smart Wrist Computer is one of the most intuitive wrist computers on the market today. Due to its effective screen layout and simplistic two-button design, recreational and professional divers alike can enjoy this stylish and effective wrist computer. The Smart Computer features a highly readable LCD backlight display that features a scratch-resistant mineral lens. The screen is incredibly clear; it can be easily read in the middle of the day, in direct sunlight. The layout of the screen is also extremely simplistic and provides you with all the information you need on the average dive for the entirety of the dive. 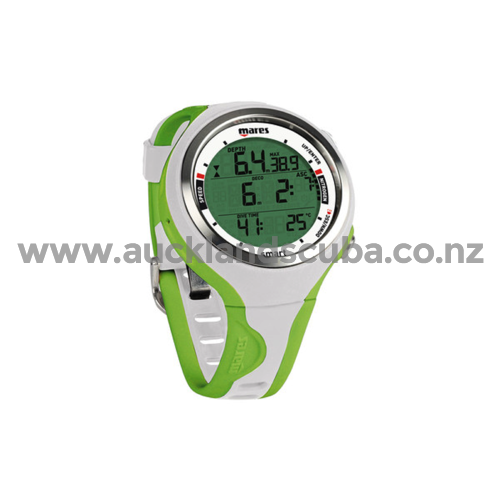 The display reads current depth, maximum depth, no-deco time, ascent rate, bottom time, low battery indicator, and temperature. You can even customize the audible alarms to go off when you wish or not at all. It even features a unique option to reset your residual nitrogen. Other features include: altitude adjustments, pre-dive planning, surface interval countdown, dive log recall, and EAN (nitrox mode). EAN mode allows you 2 gases ranging from 21% to 99% O2. When you are out of the water the Smart computers doubles as a trendy digital wristwatch. You will be able to stay on top of your daily tasks with a calendar, stopwatch, daily alarm, dual time modes and temperature reading when you wear the computer day to day. The Smart computer also features a user replaceable CR2430 lithium battery, has a memory capacity of 36 hours, and should last up to 200 dives on a new battery. At an affordable price point, extremely simplistic interface, and usable by both professional and recreational divers, the Mares Smart Wrist Computer packs a powerful punch and should be on every divers wrist. The Mares Smart Wrist Computer uses the RGBM Mares-Wienke algorithm, provides a depth display to 492' (150 meters) can be set for fresh or seawater, imperial or metric measurements and is firmware upgradable through Dive Link. The Computer comes with an owner's manual and is covered by a 24 month limited warranty.